Aspartame is an artificial, non-saccharide sweetener that is used as a sugar substitute. Here in the United States, aspartame is marketed as an additive that makes foods and drinks “sugar free”… but at what cost? The FDA says that aspartame is one of the most thoroughly studied food additives the agency has ever approved but a 60 Minutes interview stated that “aspartame’s approval was one of the most contested in FDA history”. New Mexico introduced legislation to ban aspartame and Hawaii asked the FDA to rescind its use. Aspartame is banned in parts of the U.K. and several U.K.-based companies choose not to use it in their products. Retailers in South Africa also ceased use of aspartame and the Philippines and Indonesia have introduced their own legislation to ban the additive. Of the countries investigating the safety concerns of aspartame, the United States has the highest daily recommended intake at 50mg/kg and is still regulated and promoted by the FDA. Not to get to scientific, but aspartame, when broken down, kills neurons in the brain through excitotoxins that stimulate the cells to death. It also breaks down the Blood Brain Barrier, or BBB, and 75% of cells are dead before any symptoms of chronic illnesses are detected. Dr. Mercola, a highly respected medical doctor who often challenges mainstream health reports, listed roughly 90 side effects of aspartame including migraines, seizures, nausea, weight gain, memory loss, slurred speech, fatigue and depression, among others. 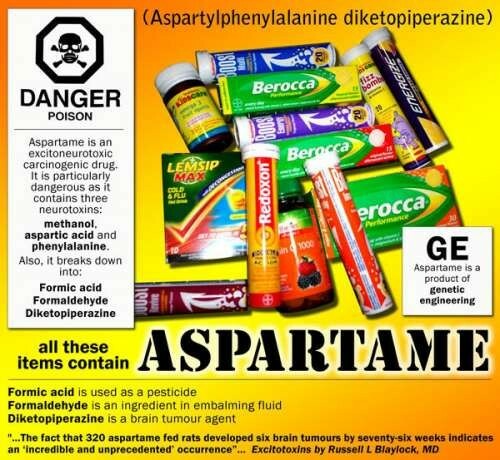 Dr. Mercola also states that medical conditions such as brain rumors, MS, epilepsy, Parkinson’s, Alzheimer’s, mental retardation and birth defects can all be triggered or worsened by aspartame intake. It would behoove people to do some research and reconsider several of the foods they eat on a daily basis. The diseases and illnesses we are suffering from are not sporadically existing. There is a reason why countries are attempting to ban the substance and why companies have found other alternatives. Many additives that are legally regulated into our foods contribute to the poor health we see around us and so much is preventable. It’s now a blessing to find a product that is ‘Made with Real Sugar’. 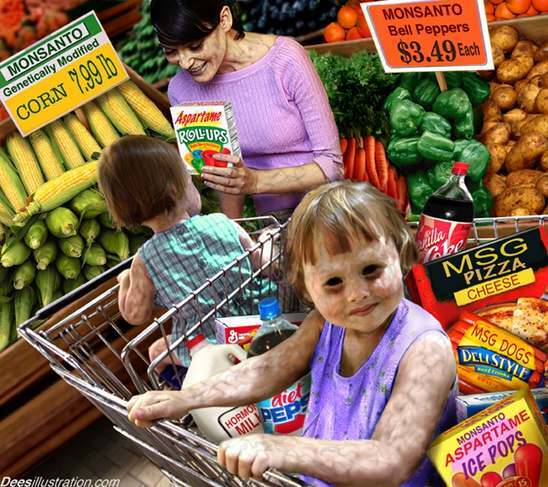 This entry was posted in Food and tagged Aspartame, effects of aspartame, illness associated with aspartame on March 1, 2012 by Jessica Szilagyi.